Officer James Cannon is one tall, strong alpha male who's convinced that Shay stole his dog. 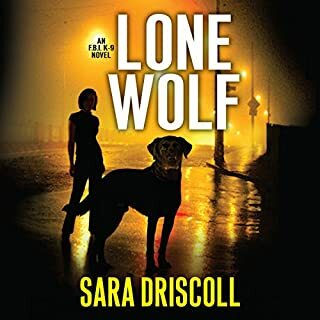 But once he gets closer to the suspect, he realizes that this stubborn, independent woman not only needs a guard dog, she needs James as well. It seems that someone from her past is stalking her, and threatening her life. When danger meets desire, will James risk his career and his best friend - to protect the woman who's stolen his heart? 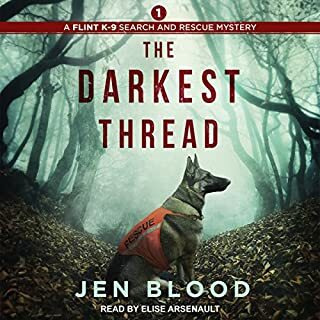 In the darkening days of autumn, a murdered journalist's body is discovered in a remote region near the Canadian border. Before she was found, Anne Marie Johnson had been writing an article about a canine research program that uses trained dogs to track scientific data. She was last seen with a man named Reeve Landon, whose chocolate Lab was one of the subjects of the piece. Now he's the prime suspect. Back in the FBI's regional office in Montana, investigator Ali Paige is not officially assigned to the case since the crime was committed outside federal land. 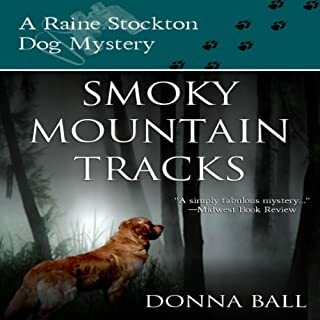 On a rugged Colorado mountain ridge, Mattie Cobb and her police-dog partner, Robo, make a grisly discovery - and become the targets of a ruthless killer. Colorado's Redstone Ridge is a place of extraordinary beauty, but this rugged mountain wilderness harbors a horrifying secret. 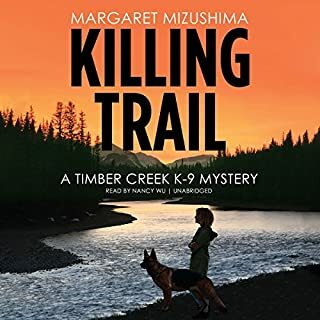 When a charred body is discovered in a shallow grave on the ridge, officer Mattie Cobb and her K-9 partner, Robo, are called in to spearhead the investigation. 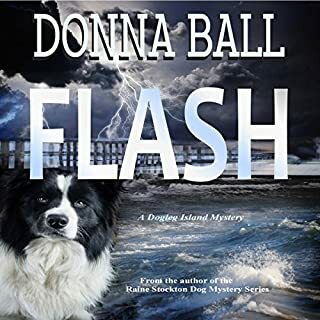 But this is no ordinary crime - and it soon becomes clear Mattie has a close personal connection to the dead man. 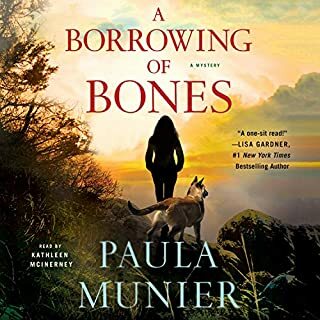 Joined by local veterinarian, Cole Walker, the pair scours the mountaintop for evidence and makes another gruesome discovery: the skeletonized remains of two adults and a child. And then, the unthinkable happens. Could Mattie become the next victim in the murderer's deadly game? A deranged killer torments Mattie with a litany of dark secrets that call into question her very identity. 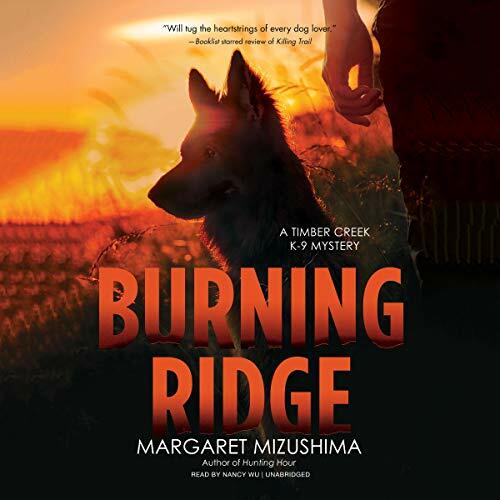 As a towering blaze races across the ridge, Cole and Robo search desperately for her - but time is running out. ©2018 Margaret Mizushima (P)2018 Blackstone Audio, Inc. If I could, I'd give more stars. Keeps you on a fast paced ride from the start. Every time you think the plot is ending it suddenly jerks you in a new and interesting direction. Can hardly wait for installment 3.I also like how author creates such character and personality with Robo. Not just a dog tossed into the pkot. An integral part of the story. His character is well developed. Really love this author and these characters. This was another fantastic book. Some books drag on and never seem to end, not true for the K9 series. I can't wait for the next book #5 please. Each new book Mizushima’s writing gets better and better. Wu’s narration was just as skillful as the previous books. I will without a doubt buy any audiobook by this pair. I absolutely love this series! If you’re not an animal lover with respect for small town life you might not enjoy this series as much but it’s still a darn good story. I love the interaction between Mattie and Robo. They continue to solve crimes and protect the people of their small town. You are kept in suspense as to who the bad guys are until the end. I enjoy how both Matte Cobb and Robo continue to grow, as a team and individually. This one was very personal for Mattie. I was hooked on this series until I got to this one. I bought the first one then all of the rest and listened to every one of them, one after another, until here and now I'm done. So, these people live in a small (emphasis on SMALL) town in Colorado but there seems to be an awful lot of murder going on and every one of the victims is known by one of the main characters in the book. The relationship in this one was a little hard for me to take. After a while you have to think "maybe this is a really bad place to live" and how many more people have to die before people get a clue? Supposedly there is a drug problem in this little town which is why they got the canine in the first place, but most of the murders have nothing to do with drugs so why is that even a premise? The reader is better than some but wish she could do a better job with the voices of the characters. I noticed it more in this book than the rest and had a hard time, sometimes, telling which characters was speaking based on the change in voice. I'm disappointed because I had really enjoyed the first three books and had even recommended the series to several people but I'm not very likely to buy the next book if there is one. Very much enjoyed this series! Recommend! Well written and very well narrated! A welcome break from the usual style of thrillers and mysteries. I really liked the close bond of Marty and her police dog partner. It was easy to picture the settings, countryside, horses, chicks :), etc. Real people in real settings. Romance in these books was intertwined in a much more realistic way, not taking away from the unfolding stories themselves. Well worth the credits. I have really enjoyed the four books in this series. It didn’t come to a real satisfying ending so I feel there must be more. I think I’ve read enough that I’m seeing the pattern and the novelty is wearing off. Too many bad things have happened to the heroine. Not my favorite but hoping Maddie accepts people’s love. It’s book 4 and yes, I care about Maddie and everyone else but need her to make strides in her recovery. I’m invested in all the characters.